Justin Thomas has SLAMMED the new rules of golf ahead of his title defence at this week's Honda Classic at PGA National. Thomas, 25, didn't go into details as to which of the new amendments to the rules he wasn't best pleased about, but you have to feel he was leaning to the new knee-high shoulder drop as one of them - a new rule that has caused consternation among many leading Tour players who believe golfers should just be able to place the ball or drop traditionally from shoulder height as before. "There's no reason for me to sit up here and tell you guys I think the Rules of Golf, the changes, are great, because I don't," said Thomas. "I think they're terrible. So, why would I say that?" Thomas also leapt to the defence of Brooks Koepka, who told the media yesterday how everyone is getting to learn about the "real" him these days. 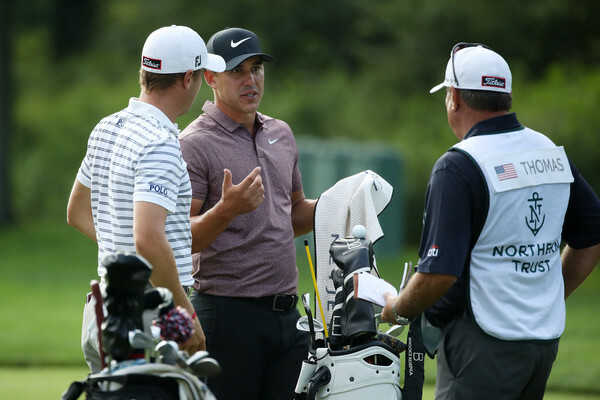 Koepka has reeled off a number of strong opinions the past month surrounding the game itself such as "nobody having the balls to penalise slow play", and even labelled Sergio Garcia a "child" following his controversial DQ in Saudi Arabia. "You’re actually, probably, getting the real me now,” said Koepka. "I think, before, I was just trying to be politically correct, not stir any bubbles and just kind of go on with things and be unnoticed." And Koepka, now a three-time major champion, won't be stopping anytime soon. "I feel like now, where I’ve put myself in the game, I’ve kind of established myself," he said. "I feel like I actually do have a voice, and it will be heard. I can do that now, where when you’ve won once on the PGA Tour, you can’t really say the thing you want to say. “There are a lot of things I’ve got opinions on. I’m going to say it now. I’m not going to hold anything back." 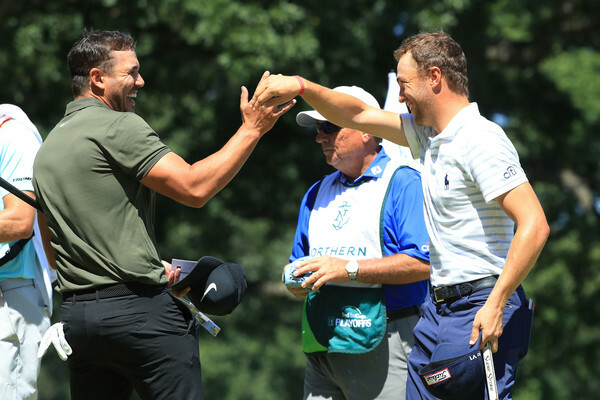 Thomas praised Koepka for not only speaking up m, but also for the fact he's finally being recognised by the media as one of the world's best players - something he has been for a number of years now. "Somehow, he was one of the most underrated players ever, and, no offense, but nobody really talked to him," said Thomas. "It's not that he wasn't speaking his mind. There was no one to speak his mind to, other than us."